For around two decades LASCO has successfully evolved to meet the dynamic market scenario and continuously captured the universal business opportunities. The principle of providing COMPLETE CUSTOMER SATISFACTION through the highest quality standards of service reflects in its long list of satisfied customers. Using the state of the art technology LASCO provides diversified specialized services that are specially designed to give its customers a competitive edge in the market place. With the rich management experience of more than 35 years Growing from its initial Registered Office at New Delhi, India, the company now has offices at Mumbai, Kolkata , Chennai, Ludhiana, Jodhpur, Kanpur, Mordabad and other business towns of India. Beyond India and Gulf, LASCO has an International Network with Companies having similar understanding and prominence for close cooperation and communication. 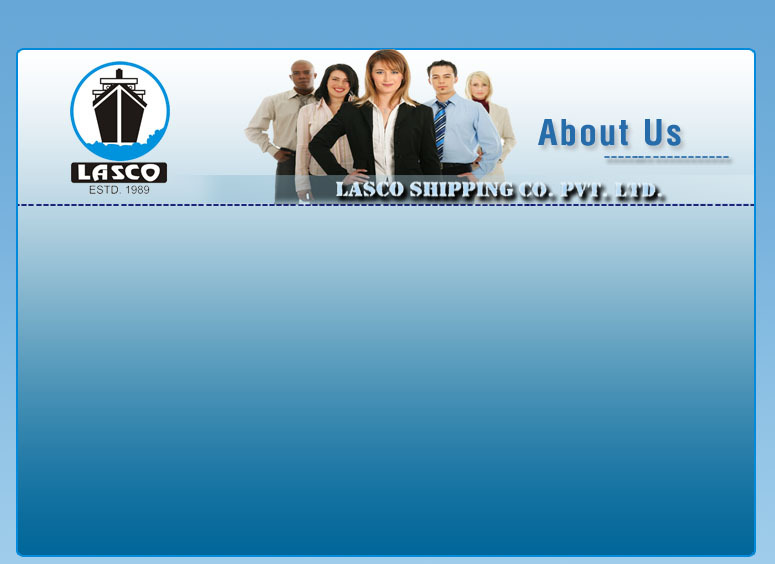 LASCO acquired the status of multimodal transporter by Director General of Shipping vide MTO No.MTO/DGS/298/2002 has the vision of providing one window solution to all Logistics needs with COMPLETE CUSTOMER SATISFACTION.